RedMax LRTZ2460 ARTICULATING BLADE - Marina Inc.
RedMax hedge trimmers are the preferred choice for landscaper professionals and discriminating homeowners. 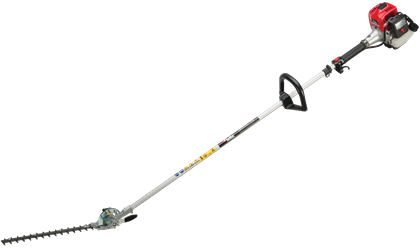 The articulating LRTZ2460 is designed for professionals who require a long reach trimmer for tall hedges or difficult cutting angles. The combination of a 20″ double blade with the 59″ shaft gives the operator an additional 6 feet of trimming manueverability. Its Strato-Charged engine has ultra-low emissions that doesn’t compromise power. Steel-needle sealed bearings on the blade connecting rods extend the life of the LRTZ2460 and enhance performance. A vibration-dampening system on the rear handle reduces operator fatigue. Family owned and operated since 1976, our commitment and values connect three generations. Come and visit us at our Lachine showroom to see the latest offerings from the Gravely®, Ariens® and Redmax® line-up. For us, every customer is important. Our showroom located on St-Joseph Boulevard, just off highway 20 in Lachine, is open year round to better serve you. 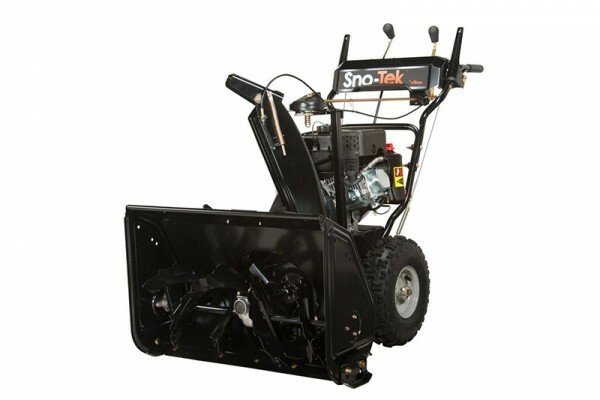 We can supply you with pavers and blocks during the summer months, or show you the latest snowblower models to get you through the winter.